A delegation of British MPs will visit Ethiopia next month in a bid to secure the release of Andargachew "Andy" Tsege, a British father of three who is under a death sentence. Mr Tsege, 59, a leading critic of the Ethiopian government who came to Britain as a political refugee more than 30 years ago, has been held in solitary confinement for the past six months. He vanished during a stopover in Yemen last June, during a trip from Dubai to Eritrea, in what campaigners say was a politically motivated kidnapping. Weeks later it emerged he had been imprisoned in Ethiopia. His precise whereabouts remain unknown. The Briton, who is the secretary-general of a banned Ethiopian opposition movement, is facing a death sentence imposed at a trial held in his absence in 2009. The announcement of the visit by British Parliamentarians, yesterday, is in stark contrast to the efforts of Prime Minister David Cameron, whose response to desperate pleas for help from Mr Tsege’s family last year was to write a letter to Ethiopia’s Prime Minister. Campaigners fear that Mr Tsege is being tortured and concern is mounting for his wellbeing. His sister Bezuaybhu said: “He’s in his cell for 24 hours a day, with an electric light, he’s having no exercise, he’s not having contact with anybody – so if this is not torture what is it?” Her brother has been “kidnapped, detained illegally” and should be brought back to Britain, she added. In a statement a Foreign Office spokesperson said: “The Ethiopians have not allowed us further access than the two consular visits on 11 August and 19 December, though we continue in our efforts to secure this.” The British government is “deeply concerned” about his detention and is “pressing the Ethiopian authorities” not to carry out the death penalty, they added. The only contact she has had in six months was a short telephone call Mr Tsege made last month. “He primarily focused on the kids saying that I should not give them false hope. I told him to keep well and strong. He said he is fine. I asked him where he was, he said he was still there [Ethiopia],” she told The Independent. “It is very, very, difficult to keep things going; I do have my low points. I try just to block a lot of things out and just keep ploughing away - that's how I'm trying to cope with it,” said Ms Hailemariam. 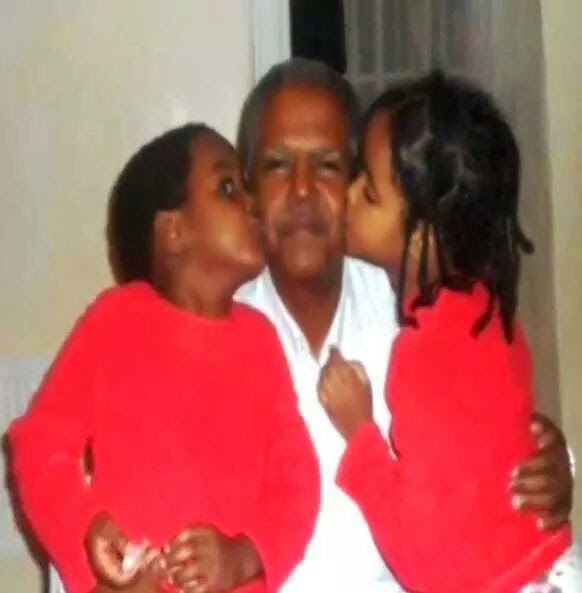 In a statement, a spokesperson for the Ethiopian Embassy, London, claimed that Mr Tsege belongs to a “terrorist organization” seeking to “overthrow the legitimate government of Ethiopia.” He is being “well treated” and “torture is inhumane and has no place in modern Ethiopia,” they added. Yet a recent report by Amnesty International revealed how political activists have been tortured and killed by the Ethiopian security forces in recent years.